It's wonderful to meet you! Laura Reichert is the Founder and CEO of Triangle Life Coaching and Believe In You Life Coaching LLC, as well as the creator of LIFE COACHING ON THE GO ™. She achieved her Associate Certified Coach (ACC) credential from the International Coaching Federation and Certified Authentic Leadership Coach distinction (CALC) from Raleigh Coaching Academy, she generously offered her expertise in business, leadership, and organizational structure to the RCA Leadership Team. 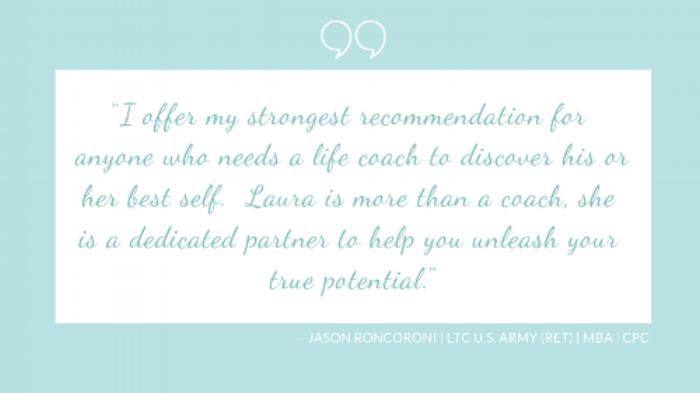 For most of her adult life, Laura had been ‘informally’ coaching others in the areas of confidence, motivation, and business. Laura’s natural coaching abilities further developed and strengthened through her life experiences and training. Laura believes that every individual can unlock even the most concealed answers to every question or challenge in their life, and her unfaltering belief in her clients acts as the key. Also, Laura is a nationally recognized entrepreneur, featured in the September 2005 edition of Women's Day Magazine. Laura also has a love for her community and a passion for volunteer work. She has served as a PTO President, Girl Scouts of America troop leader, and is currently serving as an auction committee member and family support sponsor for The Carying Place in Cary, North Carolina.